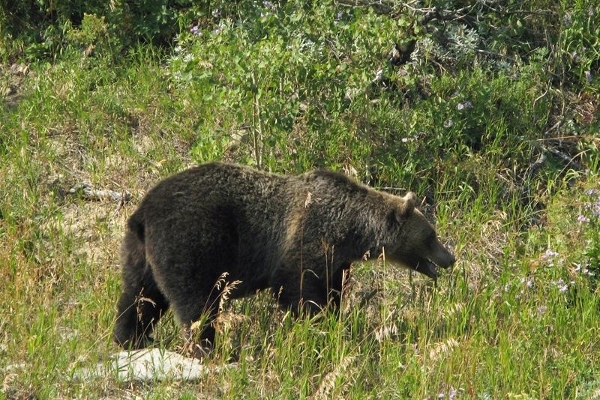 Johnson’s Campground offers RV & tent sites as well as furnished & camping cabins with great views of Glacier National Park and the Blackfeet Reservation. We have laundry facilities, wireless internet, propane services, and hot showers on site. 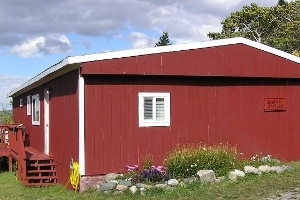 Our campground pavilion can be reserved to host large groups and gatherings. 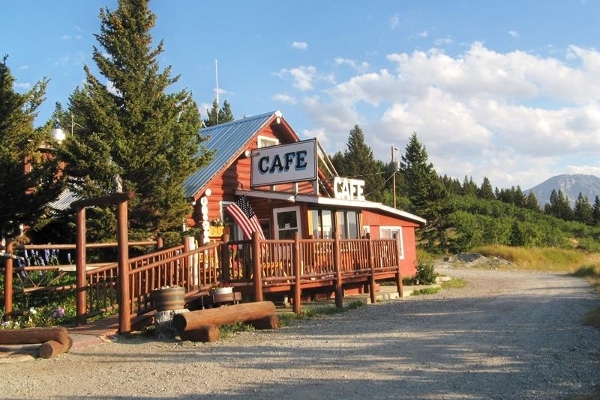 Join us at our world famous Cafe for a delicious family-style meal, featuring homemade soups, bread, & desserts! 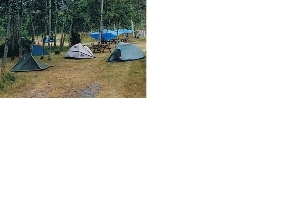 We offer a Good Sam & Military discount for our campsites. Johnson’s is a seasonal business, opening in May and closing in September each year. Homemade bread, soup, and desserts + daily specials! A pull-thru RV site with Electricity (30 Amp), Water & Sewer hookups. 2 adults and 2 children (12 yrs and under) per site. Extra Adults $5.00/each - Extra Children $5. RV site with a 30 amp electrical and water hookups. **No sewer hookup available at site. Dump station located near campground office. 2 adults and 2 children per site. Extra Adults $5. RV site with a 20 amp electrical and water hookups. 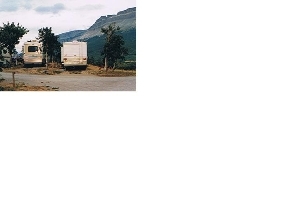 RV site **without** any water, sewer, or electrical hookups. Picnic table available. 2 adults and 2 children per site. Extra Adults $5.00/each - Extra Children $5. Our tent sites are located in a beautiful, wooded meadow. 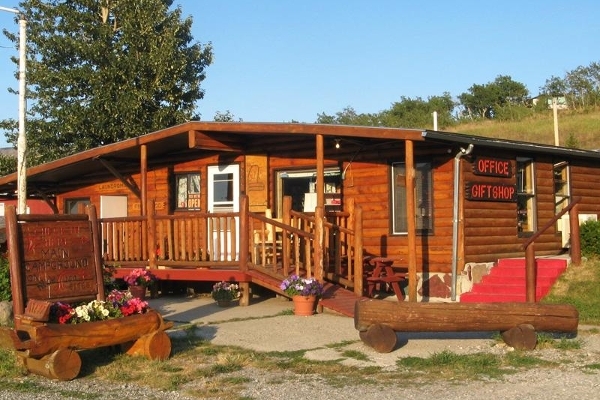 A variety of sites are available and we do our best to accommodate your camping preferences. Unique handmade beds with a western motif making the cabins a "work of art". 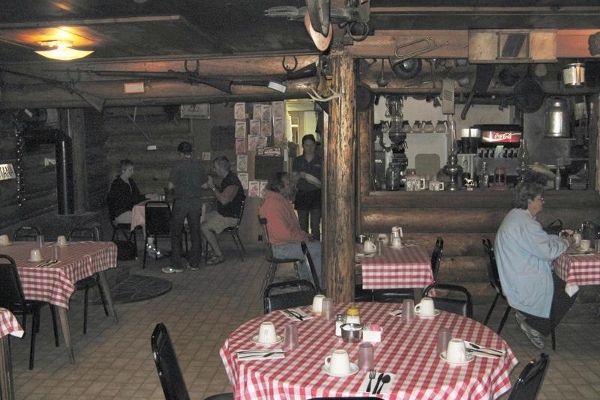 The Johnson family has added many family artifacts to each cabin to make you feel more at home. Glacier Cottage sleeps 5 with a handmade log double bed in one bedroom, a handmade log single bed in another bedroom and a double sofa sleeper in the living room. 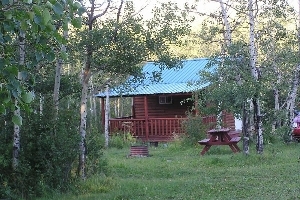 The Camping Cabin is located in the campground and has a queen bed with mattress and bunk bed frames without mattresses. 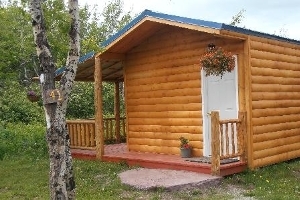 The Camping Cabin is located in the campground and has 6 bunk bed frames without mattresses. 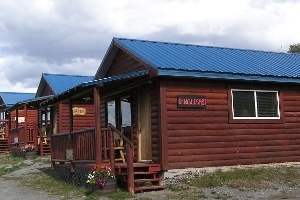 All cabin and campground guests must check in at the Campground Office. RV and Tent reservations are welcome to check in any time after 1:00 pm. Cabin reservations may check in after 4:00 pm. PLEASE BE CERTAIN OF YOUR TRAVEL PLANS WHEN BOOKING YOUR RESERVATION. Cancellations made prior to 30 days of check in will receive a full refund of the deposit, minus a $15.00 processing fee. The deposit is NON-REFUNDABLE for cancellations of any reason within 30 days of check in. Cancellations within 48 hours of the date and time of check in will be charged for the FULL COST of the scheduled stay. Refunds will not be granted to customers who choose to leave early, for any reason.